Our clients have many diverse estate and tax issues that they may wish to address through estate plans. Some clients wish to maximize the wealth they have built for their families, while others may wish to provide the bulk of their estates to charitable organizations. 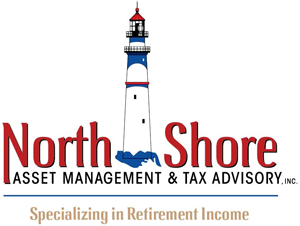 Many clients have built up large IRA and 401(k) plans, and do not want to pass on up to 75% in potential taxes on those assets to their families. No matter what your individual planning needs are, we can help you accomplish your goals for the future. In addition, an important goal for us is trying to help you significantly reduce taxes that can be incurred when you pass on your financial legacy. You have worked a lifetime to build your family’s legacy and wealth. Protecting and preserving that is the most important goal we can help you achieve. We want to help you make certain that your family’s future is protected, by helping you leave a greater legacy. It is our goal to help you pass on your estate to the rightful parties you designate, through a sound plan that protects you and your family while potentially minimizing taxes. Our clients can enjoy maximum wealth protection and legacy enhancement through our sound and professional advice. You will be able to enjoy a simple, time-saving, and effortless experience working with our firm. Part of protecting your financial future involves making sure you have adequate health insurance. Our insurance agents are specially trained in health and medicare supplement insurance. Our firm is contracted with several insurance companies and is positioned to help find you the appropriate rate and coverage. You will rest assured that you have suitable coverage and a great rate.